Wait till after the last frost to set out seedlings. Prune away any winter-kill; remove plantings if they have died. Fill in any site erosion and re-seed. Be sure all surface water drains away from your house. 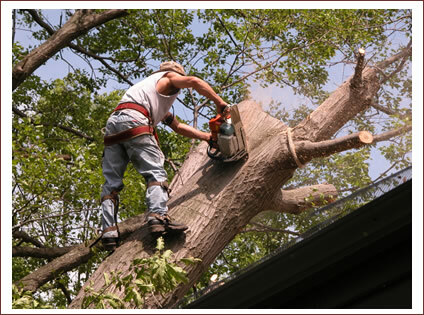 Check the health of your big trees, if there is any dying or diseased, have them removed now. It will be dangerous to go up onto a thoroughly dead tree and you may not find anyone willing to do it. Check your mailbox, fencing, walkways, patios, arbors, etc. for needed maintenance. Does your deck need to be cleaned and sealed? Are the handrails sound? 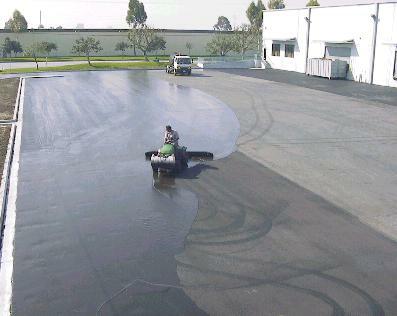 Have your asphalt driveway sealed. Replace worn or missing fibrous expansion strips between your concrete driveway and garage floor. Is it time to re-surface your concrete driveway or walkway? Winter freeze-thaw cycles may have left these surfaces pitted, chipped or cracked. Look for signs of insect activity, especially in crawlspace framing and around the perimeter. Look for cracked joists or rafters. Look for sagging headers or tilting walls; then get expert advice. Is your brickwork in need of mortar repointing? Are there damaged bricks to replace? How long has it been since your brick work was water sealed? Reseal every 5 to 8 years. 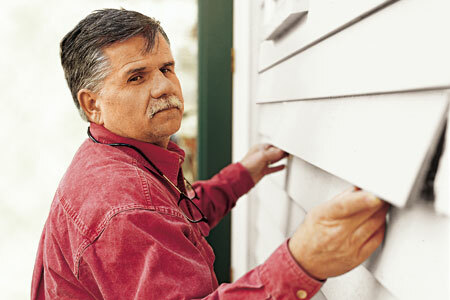 Does your siding or trim need repainting? 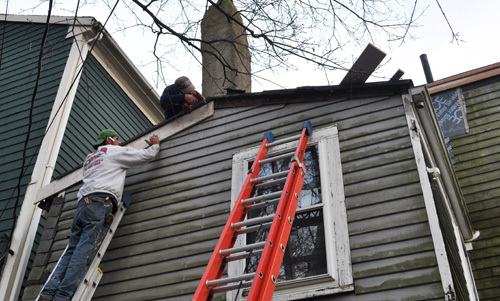 It is easier to do it regularly than replace rotted or damaged sections later, when you discover that the continued water entry has rotted the framing. Secure any loose sections of vinyl or aluminum siding; replace damaged sections. 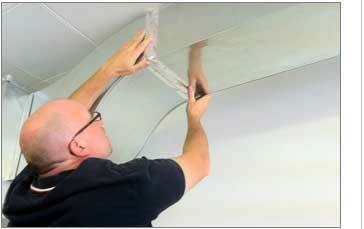 Replace cracked or broken windows. Upgrade to modern low-E insulated windows. Caulk around windows, doors, utility line entrances, and vents. Look into the possibility of retrofitting insulation into sidewalls of your wonderful old house. Add insulation to floor of your unfinished attic. Clean gutters and downspouts. Be sure gutters and downspouts are securely attached. The weight of winter ice often pulls gutters and downspouts loose. Be sure the roof is watertight. 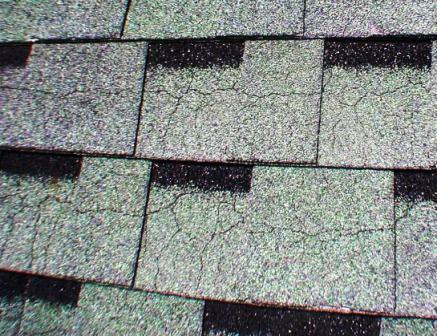 Are shingles missing or cracked? Is any flashing rusted through? Check under the roof; are there any signs of leaking there? Look at your chimney or flu stack; any visible damage? Are any trees rubbing against your roof? Be sure your bath vents, kitchen vents and dryer vents go all the way outside, not just into your attic. The bath vents should be insulated to prevent condensation in cold weather. Check the crawlspace. Is it getting fresh air? Is there standing water? Mold or fungus? Put a vapor barrier down, if you do not already have one, and use a mildewcide/fungicide now. Have any critters taken up residence? 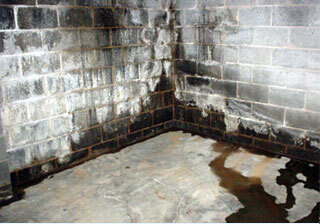 Do your basement walls have any cracks that need sealing? If any cracks are 3/16” or wider, or if you have any long horizontal cracks, better consult an expert now. Is your basement or crawlspace insulated? Uncover your air conditioner after the daytime temps are steadily in the 60’s, then switch on the circuit breaker to the A/C. Have a contractor inspect and ready your cooling system. Be sure it is fully charged with refrigerant. Straighten bent cooling fins. Follow manufacturer’s guidelines for filter maintenance. Be sure all ductwork seams are tightly sealed with foil tape. Install smoke detectors and carbon monoxide detectors; in those you already have, check batteries. Check your garden hose and repair leaks, damaged connectors and replace old rubber gaskets. 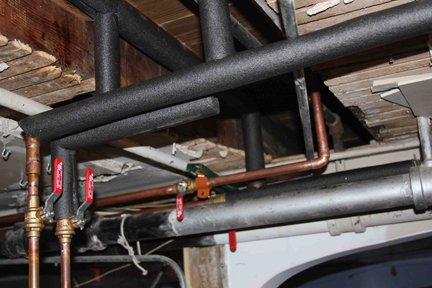 Insulate your water supply lines-hot and cold; cold lines may sweat profusely in summer. Test your water supply, even if you have municipal water. An annual test is smart. Have your septic tank system inspected and pumped out, if you have one. Depending on your tanks’ size, field system and use, the tank may need to be pumped every 1 to 5 years. Have those slow drip leaks fixed. 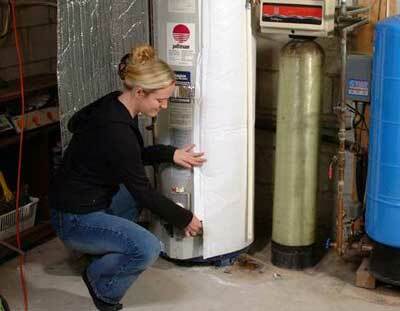 If your water heater does not have a temperature and pressure release valve, or a pipe running from this valve to near the floor, have one installed to avoid scalding or catastrophic tank rupture. Fix any leaky valves and tighten any loose fixture attachments. If you smell sewer gas around your drains, tighten those loose seals or consult a plumber to find the cause. Be sure your sump pump works. A battery backup will run it if a storm knocks out the power. Check your outdoor receptacles to make sure they are water tight; if you have painted over them the gaskets will be stiff and cannot be counted on to be watertight. Put bulbs in any open outdoor light sockets; replace burned-out bulbs. Check to see that they have a weather-protective globe or surround if that is their design. If you are constantly blowing fuses or tripping circuit breakers, or your lights occasionally flicker or dim, have your system checked by a licensed electrician. 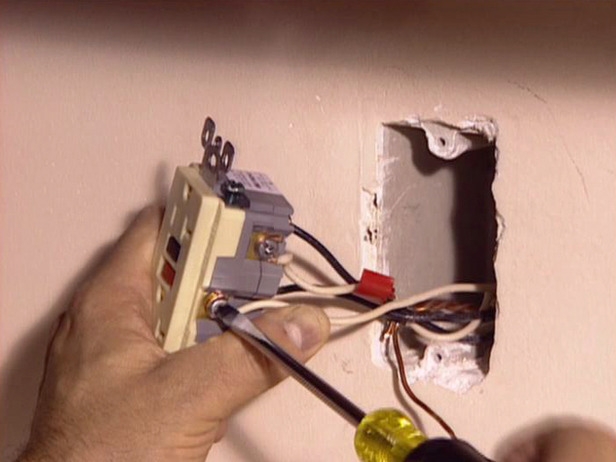 Install GFCI receptacles by your sinks and lavatories, and in the garage and at outdoor receptacles. 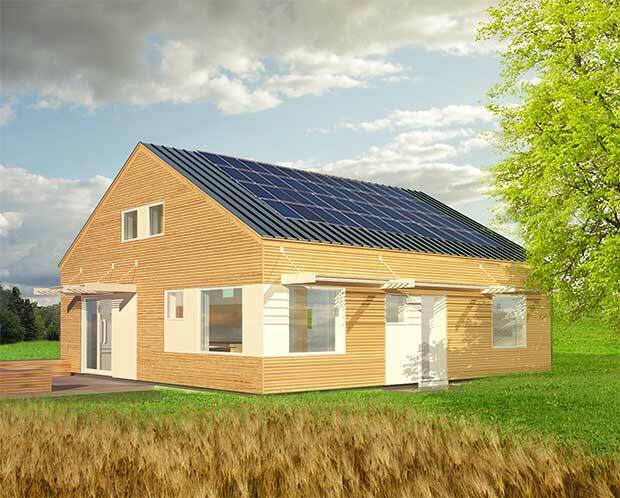 Inexpensive and relatively easy, it can be done even on older underground two-wire systems.